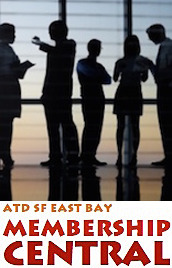 ATD SF East Bay - mLearning: Beyond Courses on a Phone | with Clark Quinn, Ph.D.
mLearning: Beyond Courses on a Phone | with Clark Quinn, Ph.D.
mLearning: Beyond Courses on a Phone! mLearning has easily fallen into a simplistic characterization of ‘courses on a phone’ because that’s what the name implies, and what vendors can easily deliver. But it can be so much more! When you think about a computer wherever and whenever you are, the options become almost boundless. That is, if you can get your mind around some basic principles that will free you up to imagine new possibilities. In this session, we’ll provide frameworks and exercises that will decouple mobile from the course mindset, and consider how to truly empower work. We’ll use examples to make the possibilities clear, and equip you for the coming capabilities as well. Come see the future of learning and performance! You're invited. Join us! Bring a Manager! Bring a friend! Clark Quinn has been innovating for business, education, government, and the not-for-profit sectors for over 30 years. His work has been recognized through invitations to speak around the globe. Integrating creativity, cognitive science, and technology, he delivers engaging and effective solutions to learning, knowledge and performance needs. Dr. Quinn has led the design of elearning, mlearning, games, and adaptive & performance support systems. An internationally known speaker, consultant, and author of five books covering gaming, learning science, strategy, and a soon to be released book on Learning Myths. His book most relevant to this talk is Designing mLearning: Tapping Into the Mobile Revolution for Organizational Performance." In 2012, Clark was recognized with the eLearning Guild's first Guild Master award. He blogs at learnlets.com and provides solutions through Quinnovation. In the BLUE BOX (above and to the left), click the "REGISTER' button to begin the registration process. Then, follow the process as prompted. Before you do, please review these bullets.